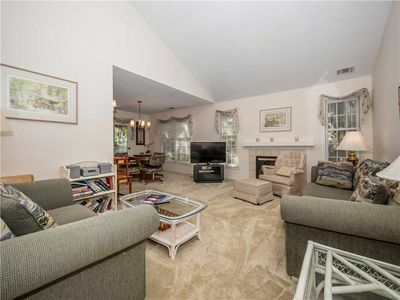 Beautifully Renovated Home + Largest Pool on the Block!! 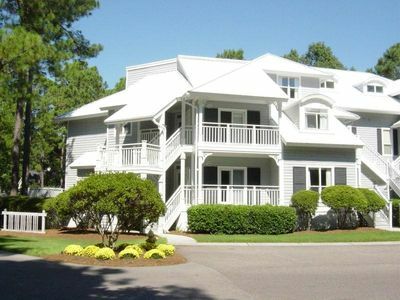 This renovated seaside retreat is the perfect vacation rental for a large group or families vacationing together! 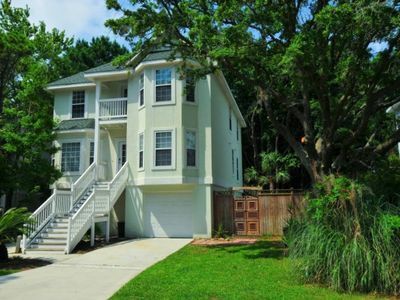 This beautiful beach home offers 6 spacious bedrooms decorated in vibrant designer cottage colors, brand new furniture, and the largest private pool and decking on the block. 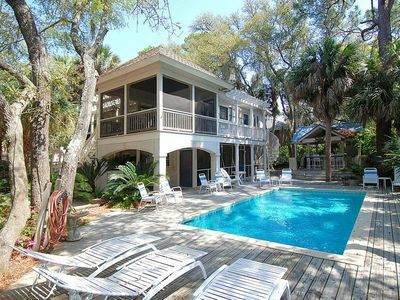 An easy stroll down the picturesque boardwalk to the beach (4-5 minute walk) makes this house the perfect choice for your next vacation. 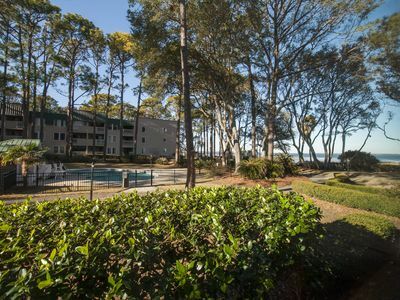 Our home is conveniently located in the middle of the island, between Palmetto Dunes Resort and Folly Field, just down from the Westin Hilton Head Resort and Spa. 37 Bradley Beach Road is situated just a few houses away from one of the Island's main beach areas complete with bathroom facilities, a playground, cookout/picnic area and a super nice boardwalk to the beach. Within minutes of stepping out of the house, you can be enjoying the Island's white sandy beaches and soaking up the sun. 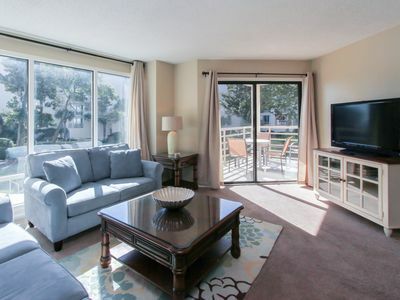 Only a 4-5 minute walk from the front door to the sand! 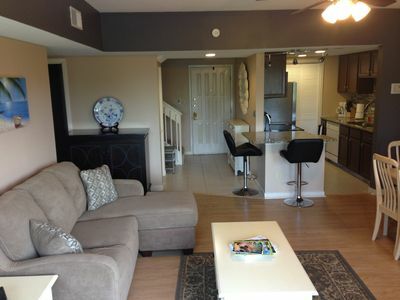 We are within walking distance of the town's newest and biggest park, CHAPLIN PARK. Here you will find nice basketball courts, lighted tennis courts, soccer and baseball fields, large shaded children's playground, walking/biking trails and even a fenced in doggy park.....all FREE of charge! 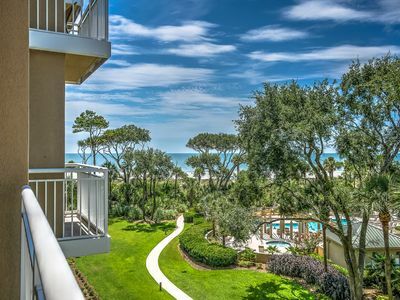 Bradley Beach is centrally located, only a short drive away from Hilton Head's best shopping, dining and our world-famous golf courses. Fun family style activities like miniature golf and go-carts are also nearby. 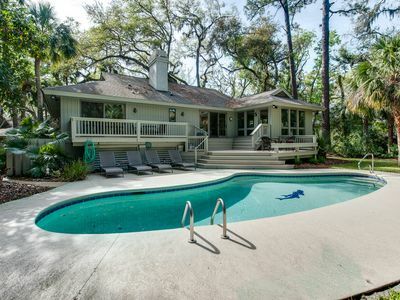 Should you want to spend your time relaxing at the house, our home’s private pool retreat with expansive decking and forest surrounding the backyard is the jewel in this home's crown. 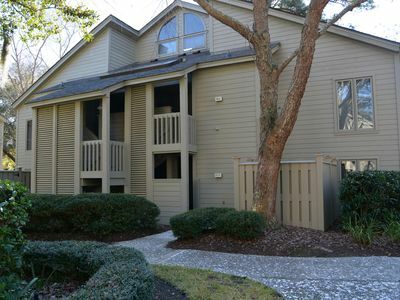 The large deck and pool area is where you may want to spend a lot of time whether it's grilling on the gas grill or just lounging poolside with a tropical drink. 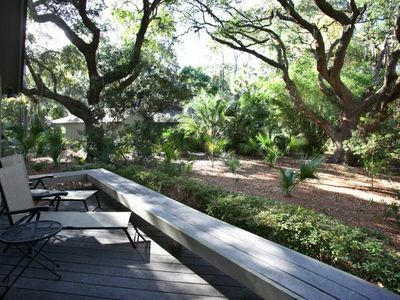 We have the largest decking and pool on the block! 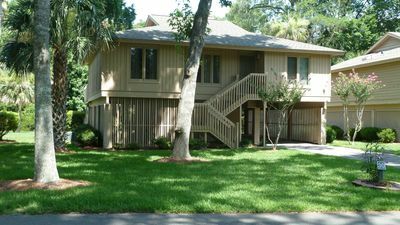 - Kitchen (granite counter-tops and great new appliances) with 4 top and bar seating, dining room, and outdoor meal seating. 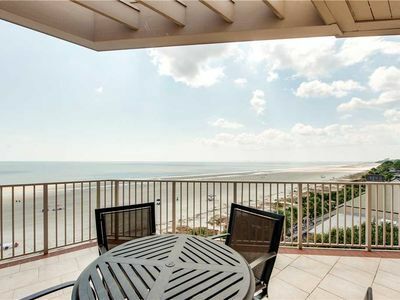 It's an easy short 0.2-mile walk to the beach. You don't have to cross the street! 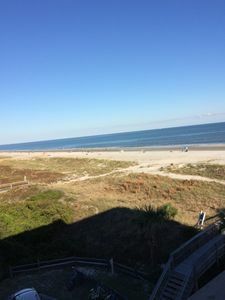 Just take a left out the front door, pass three houses, then walk through the beach/neighborhood common area (parking, bathrooms, showers, playground) and onto the nice boardwalk to the sand! HEATED POOL- we've just added a brand new heater to our pool are excited that our guests can have fun splashing in the pool when it's chilly outside! Heating is $195 per week. 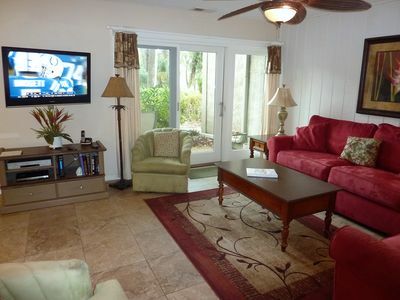 St Andrews Villa - Book your Hilton Head Island Getaway Now! 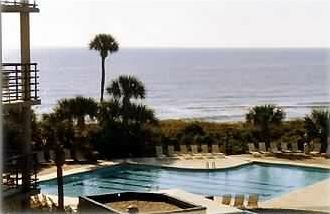 6304 Hampton Place- Oceanfront Views, Pool, Spa & So Much More! 1205 Villamare - Pretty 2nd Floor Villa overlooking the pool to the ocean. Beautiful Beachfront Villamare - See our view! 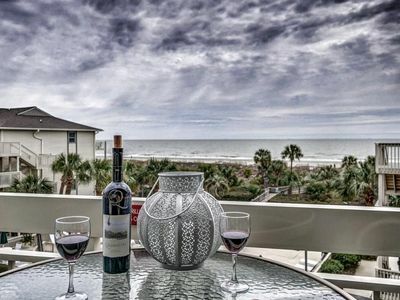 Great villa so close to the beach and Coligny!! 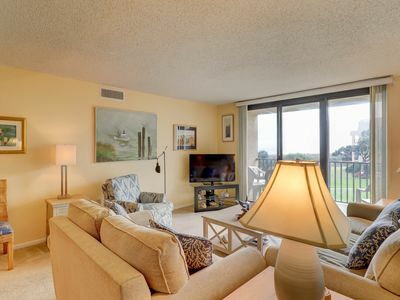 Direct OCEANFRONT Top Floor Corner Condo with Updates Galore! Serenity on The Sound ! 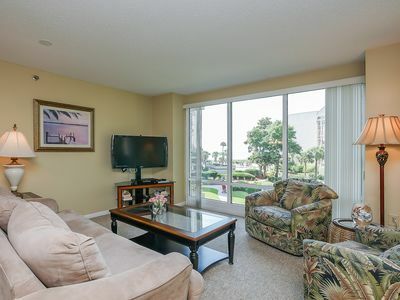 Closest 1st FL-2B/2Ba Condo to the Beach and Pool ! 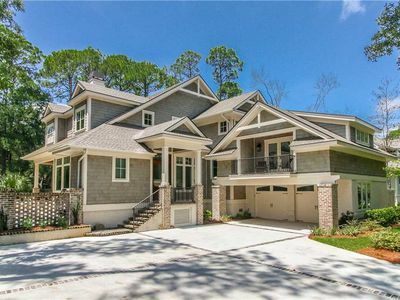 Free Standing Home; Shipyard Plantation - INCLUDES GOLF FOR FOUR! 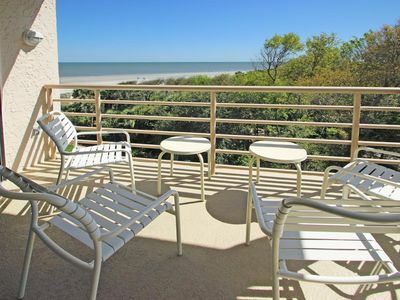 Enjoy a tranquil stay at this condo with pools, hot tub, & oceanfront views!